everythingeden	 December 21, 2018 Blogmas Week 2018! Happy Blogmas week day 5! I can’t believe that I have written, taken photos for and uploaded 5 blog posts already. Yay go me! Today’s blog post is going to me my Christmas wish list.I did one last year and really enjoyed it, so I thought I would do it again. Just a disclaimer before we start: In no way am I trying to brag or boast in anyway, I am in no way expecting any of these presents. I just really love finding lots of present options and I like to help you out with any last minute gift ideas. Hope you enjoy the post, make sure to leave a comment if you do. I don’t actually need any makeup this year at all, I just have 2 mac bits that I am running out of to be renewed. So the Mac fix plus spray just in the normal scent is one of my face products in my makeup bag and I would love a replacement, it is so good! The other thing us a new powder, it was called the careblend when I bought it but whether they have discontinued it or changed the name but I found a replacement that I would like. It is so creamy and fab for dry skin! I really need to read more, I have been so bad recently. 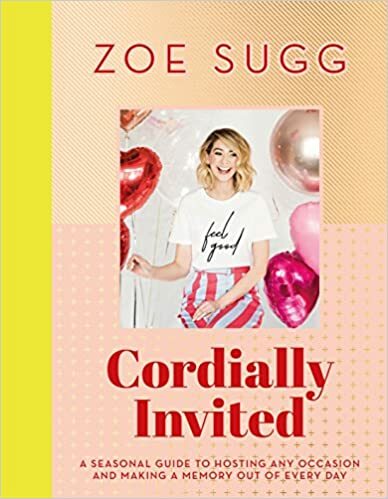 There are some books that I would specifically like being: Cordially Invited by Zoella, An Edited Life by Anna Newton and The Fashion Rules by Victoria Magrath (inthefrow). I know these are all youtuber books but they are sound amazing! I also just want some general fiction I am not fussed about what but I do love murder mysteries and a good rom com! I inherited my laptop from my mum and it has now become so slow so I would love and be so grateful to receive a new laptop for Christmas. It would make such a difference to my school work and this blog which I love so yes it would be great but in no way am I expecting it as they are so expensive. I have absolutely fallen in love with jack Wills recently and they were having a cyber week a few weeks ago so I saved a few bits that I really loved. They have gone back to full price now but they are still super worth the money. A super cute red top with a white collar and a cosy grey hoodie. Perfect for the winter time! Slso fairplay to Jack Wills because their deals for black Friday were amazing! This palette is so pretty, again I don’t need it but I WANT it so bad! It would create such gorgeous looks that would be perfect for every occasion ever aha. It would be a great addition to my collection. As, I got my new phone in the summer, I only have one phone case and would love to start building my collection like I did with my previous phone. There is a specific one that I love, it is super cute, it is a matte mint green, Apple do sell a similar one but it is like £35 or something so I thought that was way too much so I found a copy on Amazon as I am not that fussy. It is so pretty. I just have fallen in love with films this year, I love the 80s and 90s rom coms, they are the best! Also, I would like this years Death In Paradise DVD and the Vera Box Set as that is my new favourite crime series this year. Just any films and dvds in general would be fab! For me, these are Christmas essentials, I really do need a dressing gown and I love feeling cosy in the winter time. Also, pyjamas are just the best, you can never have enough, I am not fussy at all! I have had such great luck with my mirror this year and managed to smash 2 including my previous n.o 7 one. So the rose gold one is so pretty and I would really love a new one and I am really going to try hard not to smash it. So that is it for today’s blog post, I really hope you all enjoyed it and let me know what is on your christmas wish list this year! Have a lovely evening. Now that I think of it, I need a new cell phone case so that would be a good gift! Great post Eden!